FREE Sprout Organic Baby Food Pouches at Publix! I always get pumped when I see this deal on free organic baby food at Publix! 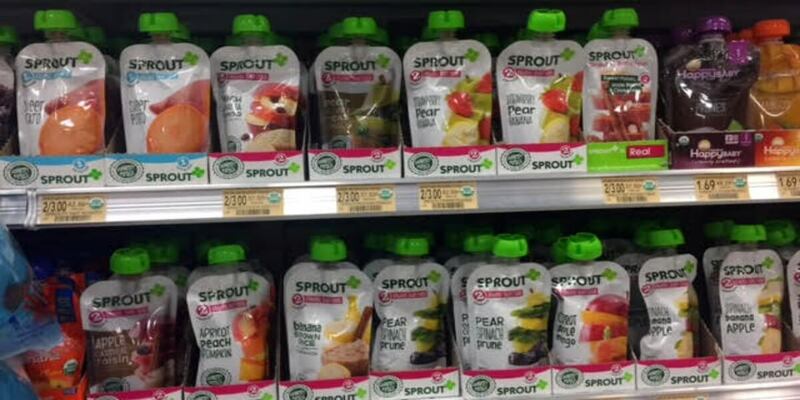 Through 5/17, Publix has Sprout Organic baby food pouches on sale buy one get one free. We have this B1G1 Sprout Organic Baby or Toddler Puree Pouch printable coupon that helps you get this baby food at no cost! Time to load up the pantry! Sprout Organic baby food pouches BOGO – 2/$1.69 Free! Kemp’s Frozen Yogurt Just $1.99 at Harris Teeter!